Since 2007, Sunbird products are being used globally by 1300+ customers across hundreds of thousands of racks, managing millions of assets, and monitoring billions of data points each and every day. 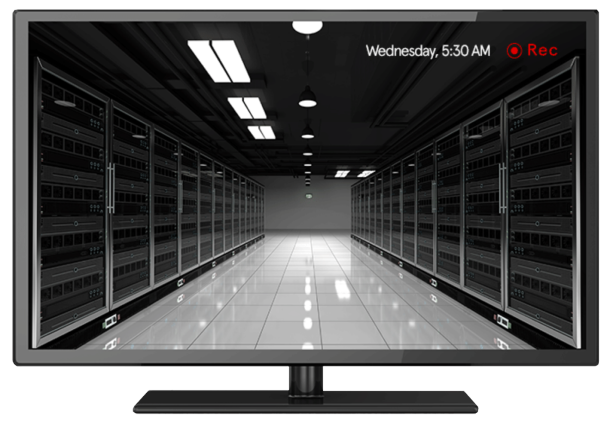 Accurate real-time views of your entire data center including servers, storage, networking equipment, rack PDUs, patch panels and applications. "It’s our source of truth for what’s in the data centers." See floor PDUs, branch circuit panels, UPSs and CRAC units. Map physical relationships between all of these devices and see how the entire power and network chain in the data center is connected down to the port level. Sunbird's dcTrack DCIM Solution provides you with complete, accurate views of capacity, including physical space, power and network ports available in racks, plus the capacity of infrastructure devices like UPSs, CRACs, and circuit panels. Maintain best practices, improve operational efficiency, and people productivity. Powerful and intelligent tools for workflow automation enable you to generate change requests, automate device moves, and maintain a complete audit trail of requests and work orders for compliance. "This tool is indispensable for the administration of your own datacenters and each piece of hardware built-in there." Reduce work order inaccuracy or missing information, ensure work orders are assigned to people with appropriate skills, and reduce workflow delays and bottlenecks. With built in ASHRAE cooling charts and Smart Rack views, Power IQ monitors and measures all the energy usage in your facility including building meters, UPSs, Floor PDUs, RPPs, busways, and intelligent rack PDU’s. Increase data center temperature without risk, calculate Green Grid’s PUE Level 1, 2 and 3, and drive your green data center and sustainability initiatives with bill-back reports. Understand what is drawing energy in your facility and find ways to save – while maintaining a safe environment for your IT equipment. "The product is extremely useful when trying to determine overall facility power consumption." Sunbird offers a complete environment management solution that not only helps you identify potential trouble areas like hot spots and overcooling, but also helps you save energy while maintaining an optimal data center environment. "I have been able to easily keep an eye on all power, temperature, and humidity statuses for all my hardware locations." Our DCIM monitoring solution combines the power of Raritan’s or any third party intelligent rack PDUs and environment management appliances, providing up to the minute information from temperature, humidity, air flow, air pressure, smoke, water, and contact closure sensors. See trends, get alerts, save energy, and increase uptime. Our enterprise class power monitoring software has been battle-tested in some of the largest data centers in the industry collecting 1 billion data points a day. An open and vendor agnostic solution that gathers data from building meters, UPS, busways, branch circuits, floor PDU's, RPPs, and rack PDUs, Sunbird DCIM Monitoring provides an intuitive configurable dashboard, locates stranded power, and improves data center uptime. See how much power you're using at a moment's notice, down to individual servers, when coupled with intelligent rack PDUs with individual outlet metering. "We like the ability within Power IQ to control our vendor agnostic managed rack power strips." 3D Data Center Visualizations: Better than being there. 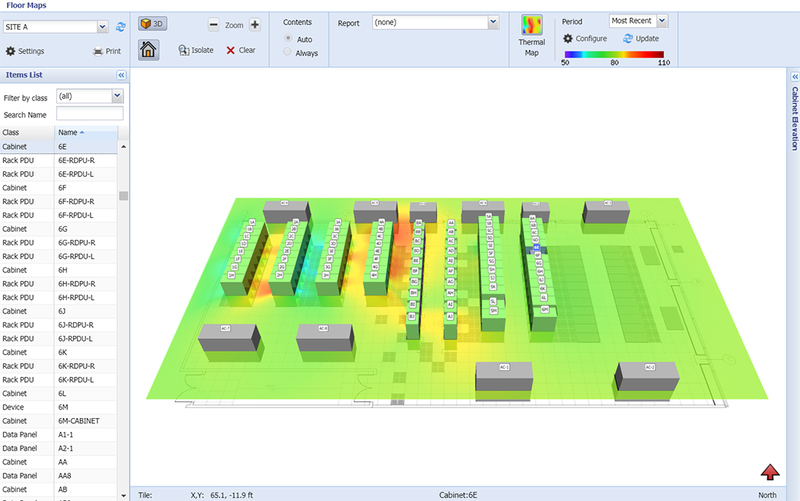 Save time and boost productivity with 3D that let you see everything from a bird’s-eye view of the data center floor to the devices in a specific cabinet. "We love the 3D visualization aspect and that we can spin the cabinet around and isolate cabinets." Gain “x-ray” vision to see where and how devices are placed and connected inside your cabinets. Spot temperature and humidity trends over time across your entire data center with thermal and pressure time-lapse video. Lock down individual areas in your data center with RFID electronic door access control. Audit logs and reports ensure compliance with SSAE-16, HIPAA, and other industry-standard regulations. Manage access to different areas of your data center and keep information in the right hands with real-time reporting, surveillance feeds, and granular role-based permissions to support tenant models. Engage with your data through interactive dashboards and reports to uncover insights and make better data center management decisions. "The best of this software is the dashboard, that you can see all the information about your business in real time and you can personalize it!" View summary panels for an overview of your information or drill-down to access the raw data behind your dashboards. Create and share out-of-the-box and custom reports for every data center scenario. From end to end, document and understand every node in your data circuits to identify single points of failure and decrease troubleshooting time. Whether you’re interested in full circuits complete with patch cords or just the structured and power distribution cabling between end points, see exactly how items are connected on your data center floor with 3D visualization. Use your own data to see how easy it is.